First cut a 5 3/4" x 9" piece of Stampin' Up! Concord Grape card stock and fold it in half for the base and a 4 1/4" x 5 1/2" piece off white card stock for the front. 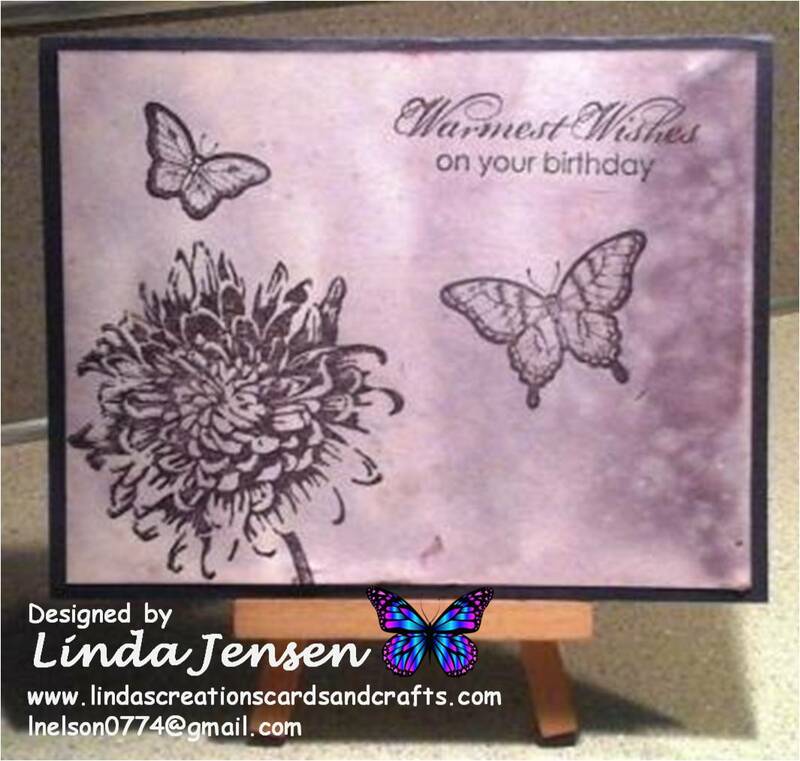 Next create the background by spritzing the white card stock with water and adding Stampin' Up! Elegant Eggplant ink with an aqua painter and allow to dry. Then stamp the flower, butterflies and sentiment with a Stamp a ma jig and Elegant Eggplant ink. 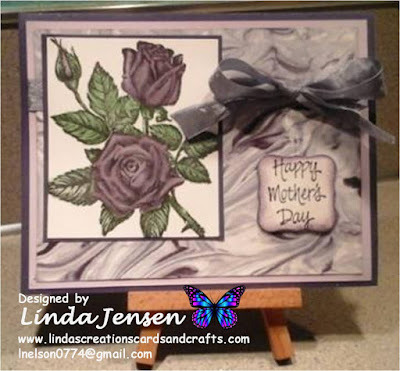 Attach the card front to the base and enjoy!